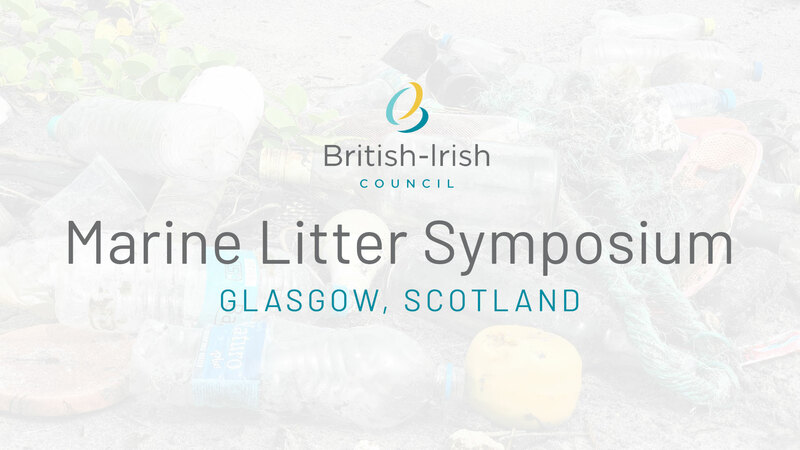 On 22nd February Peter Mullan from 14PTT was the Youth Ambassador for Northern Ireland at the Ministerial Symposium on Marine Litter held in Strathclyde University in Scotland. The opportunity was given to Peter by Gillian Kinnier and Claire Vincent from DEARA and through Eco Schools Northern Ireland. Well Done Peter for being such a fantastic Ambassador for Ulidia Integrated College and also for Northern Ireland Youth. The First workshop I attended was around marine planning. 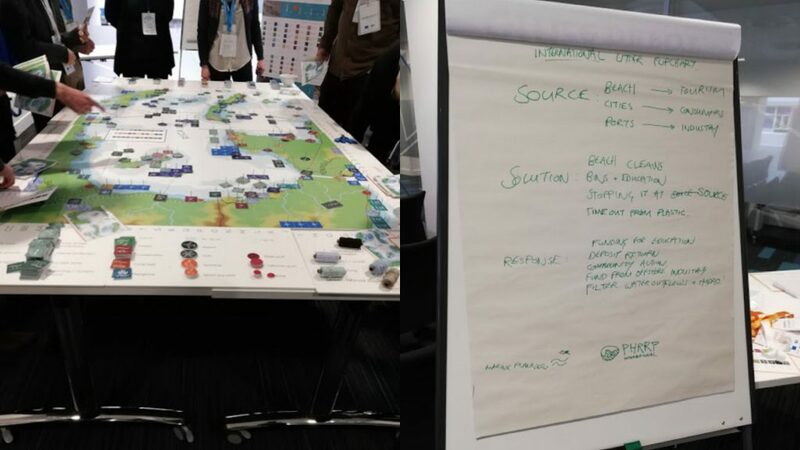 A beautiful and intricate board game was laid out across two tables, featuring three different countries, multiple roles, such as a politician, terrestrial planner and many more. Here I worked with a member of “Peninsuland” with myself being a planner from “Bayland” to work out ideas on how to tackle the litter and coming into our two countries. We were allowed to take photos as well so below you can see the board, along with the rules and the plan me and my fellow planner came up with are shown below. After this, we discussed what we learned about the difficulties of marine planning and opposing objectives. While enjoyable and very educational, the simulation was left lacking when regarding marine licensing. After this, we had a delightful lunch, featuring beautiful arrays of food, such as venison sausage rolls and greek salads. Tea, coffee and orange juice was also left out to be obtained at your own leisure. After an enjoyable break and good food, I took the elevator to the top floor of the University to attend the youth workshop, run by the “Youngscots.” Soon after I settled in early, the other youth ambassadors from Wales, Guernsey and Jersey showed up and we introduced ourselves to each other. Not long after them, the other members attending arrived and the workshop began. We talked about marine litter and how it affects our oceans, two motivational speakers gave presentations and we were given group activities to do. Such as looking into what we waste from waking up and going to bed, and how much of that is actually plastic. The final group project we did was based on how to educate and assist in reducing the amount of litter and plastic wasted or thrown out. In the end, we made a model based around my school, Ulidia Integrated College, and the 0% waste policy we have, along with eco-mentoring projects and our Eco-club. Combined with the community action that Paige Bentley and Andrew O’Callaghan do in Wales, we presented our solution to the others attending. Due to this, a discussion about 0% waster schools was brought up, allowing all of us to share information regarding them. Due to this discussion, I found out about the intended global school strike on March 15 2019, in protest of wasteful practices. This is because 80% of all marine litter comes from the land. At the end of the workshop, we were given the chance to ask questions to John Mouat who is the International Marine Biodiversity Policy Manager in The Scottish Government and Iain Gulland, who is the chief executive of Zero Waste Scotland. Then Claire and I attended a Q&A session which featured Iain Gulland, Elizabeth Whitebread and some others. Here, the policies, hopes and aspirations of their relevant fields and associations were made known. After this, we left to check-in at our hotel. Then we headed off to attend the formal ministerial dinner. This took place in Kelvin Grove Museum, an amazing art museum which featured stuffed bears, busts, and the main event: Dippy the Dinosaur. The food was exquisite and it gave me the opportunity to network with the other ambassadors. 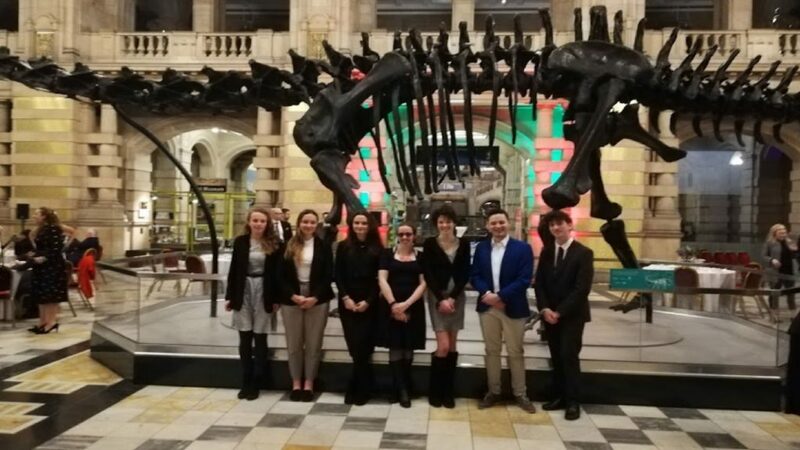 In the photo below, I and the other ambassadors are in front of Dippy the dinosaur. After dinner, we returned to the hotel and soon after, at 7.45am, I met with Claire. We had breakfast and headed out to the University once again. Here the ministers convened and decided upon their communique, allowing some time for a Q&A. After this, another set of workshops began. I attended one based around education and aided in putting together ideas with other ambassadors. Grace, from Jersey, and I spoke with a senior civil servant and pitched an idea around small community action that works towards a national goal. He agreed it to be a good idea. After this, there was a closing conference and summary of what was learnt and offered and we were allowed to leave. I took a plane back to Belfast International and said my farewell to Claire.